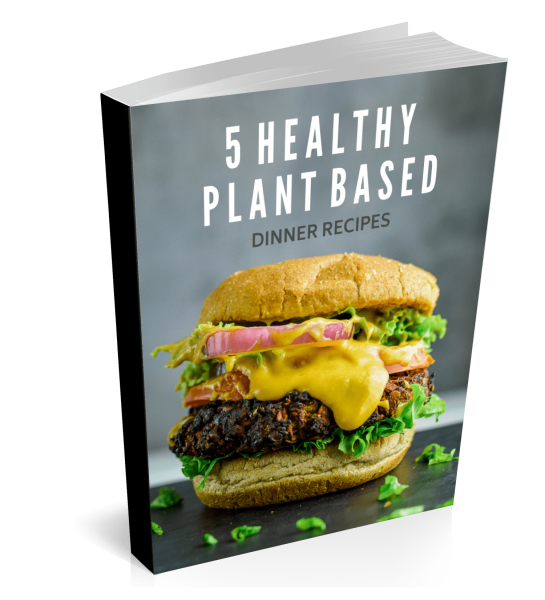 Vegan egg replacers are becoming increasingly popular due to the upward trend of plant-based diets and healthier food alternatives. They’re so easy to use as a replacement in most recipes, as long as you learn which option is best for your needs. 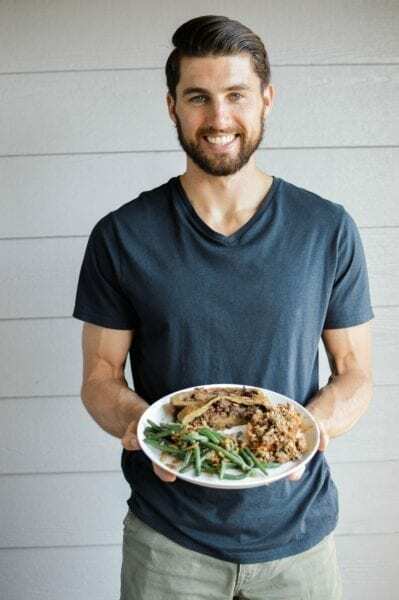 Below you’ll learn how to use the 11 best vegan egg replacers with all sorts of recipes like quick breads, cookies, cakes, meatloaf, waffles, pancakes, and more. With a bit of creativity and innovation, you can create egg-less recipes that taste great! Tried and true, the flax egg is one of the best vegan egg replacers out there. 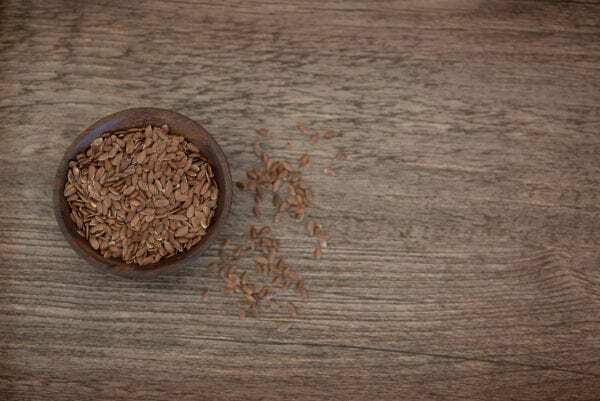 Flax seeds contain healthy Omega-3 fatty acids that we all could use a little more of in our diets. When flax seed meal mixes with water, it creates a mucus like consistency. Since plants store their water in seeds, this mucus (called mucilage) is a survival mechanism that works in our favor! The best way to create a flax egg is to combine 1 tablespoon (15 grams) flax seed meal with 3 tablespoons (45 grams) warm water. Allow to sit for a minimum of five minutes and up to 20 minutes before adding it to your recipe. Another Omega-3 boosting vegan egg replacer is the chia egg. The chia egg binds together to form an even more viscous and gooey mixture than its flax cousin mentioned above. If you use black chia seeds, expect a darker color for your final product. On the contrary, white chia seeds will yield a lighter color. So make sure to think about this before you create your recipe. Typically, chia eggs are best used when you are replacing one or two eggs in a recipe. To create a chia egg, combine 1 tablespoon (15 grams) chia seeds with 3 tablespoons (45 grams) water and let it sit for a minimum of five minutes and up to 20 minutes. *Allowing the full 20 minutes will yield the best results. Vegan egg replacers have hit the market by storm. 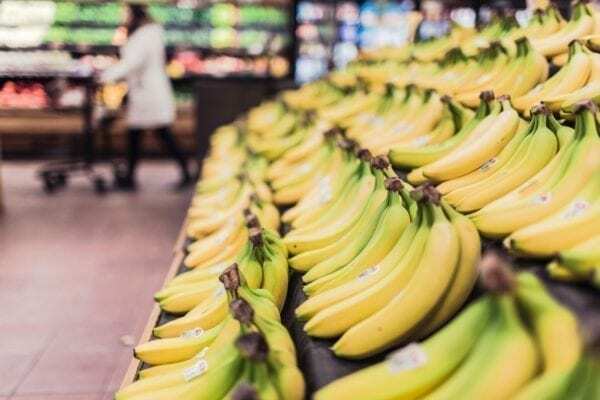 Consumers are looking for healthier and more ethical solutions, and several companies have stepped up to the challenge. Read the ingredient list if you have special dietary needs, as some contain gluten, starch, and soy. 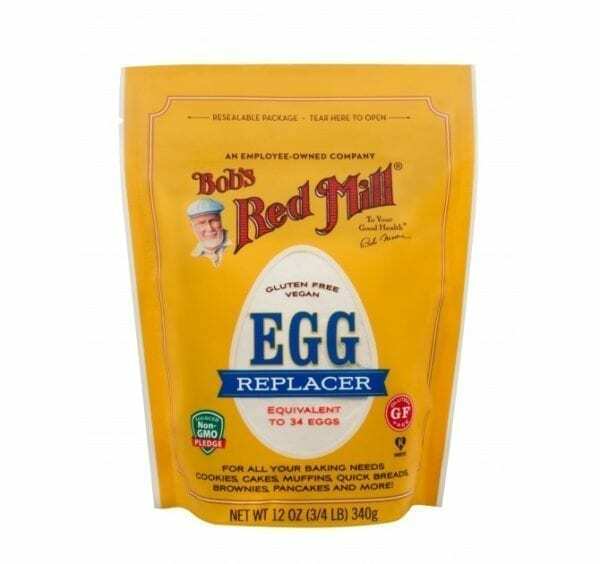 The consumer winner is Bob’s Red Mill Vegan Egg Replacer. That comes as no surprise since Bob has already demonstrated his ability to offer high quality products for all dietary and health niches. A close second is Ener-G Egg Replacer. Similar to Bob’s, Ener-G is both an egg white and egg yolk replacer, making it an ideal addition to baked goods, pancakes, waffles, cookies, and breads. It’s best to use the ratios suggested on the package for egg replacement, although you may need to adjust the ratios slightly for more complex recipes. Different than the vegan egg replacers above, Vegg Vegan Egg Yolk is only a replacement for the yolk. Made from starches, salt, and algal flour, this gluten-free mixture is best for binding purposes only. When using with baked goods, you’ll want to use additional leavening agents (baking soda or baking powder) to create fluffiness or texture. Otherwise, your final product will be a mushy and unpleasant. In addition to baking, the Vegg Vegan Egg Yolk works great as an addition to tofu when attempting vegan scrambled eggs. It helps provide color, texture, and taste, like that of a chicken egg. You can also add it into savory dishes like vegan meatloaf or as a coating for vegan french toast! Follow the egg replacer instructions on the package for best results. Mashing or puréeing fruit is one of the most flavorful ways to replace eggs. It not only helps bind together your recipe, but also provides sweetness. For the sweeter produce mentioned above, you will need you to adjust any extra sugar-added within the recipe. Additionally, some of the options will alter your color as well. Make sure you that if you want a white-colored baked good, you use a banana, not a sweet potato. *Fruit purée only acts as a binder, so make sure your recipe includes a leavener like baking soda or baking powder for best results. Both arrowroot and agar agar powder are natural thickening agents that act as binders. They are great for recipes likes soups, puddings, gravies, stir-fry, and sauces. Arrowroot actually comes from the herb family. It is known for being easy on the stomach and works well as a cornstarch replacer. Agar Agar comes from red-algae and is fantastic for thickeners used in vegan jello. It’s a healthier vegan egg replacer because it’s packed with vitamins and high in fiber. 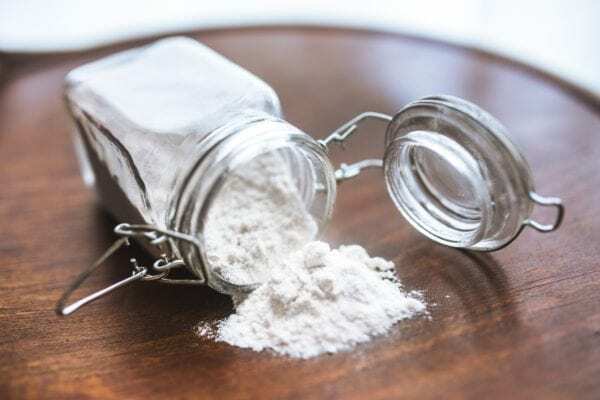 Note that arrowroot and agar agar powder only act as thickening agents, so when replacing them in baked goods, it’s essential to use a separate leavening agent. Replace one egg using 2 tablespoons (30 grams) of either arrowroot or agar agar powder. Aquafaba is the newest vegan egg replacer to hit the culinary scene. 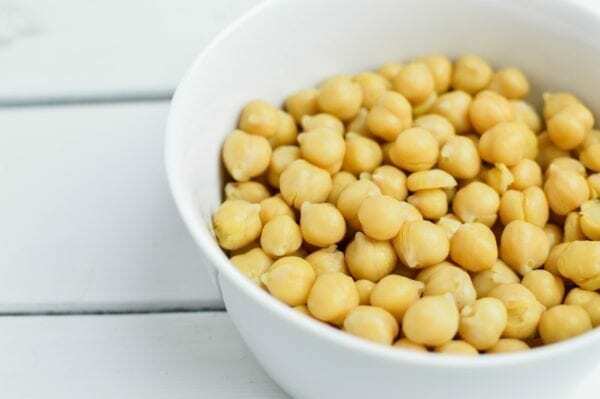 It’s derived from the liquid in a can of chickpeas. Who knew bean water could make such an impact for egg-free baking! Similar to the bubbles created when boiling beans, whipping aquafaba allows it to rise and thicken into a foam-like cloud. Thus allowing aquafaba to bind, leaven, and coagulate; everything an egg can do. Use 2 tablespoons (30 grams) aquafaba per one egg, or 1 tablespoon (15 grams) per one egg yolk. 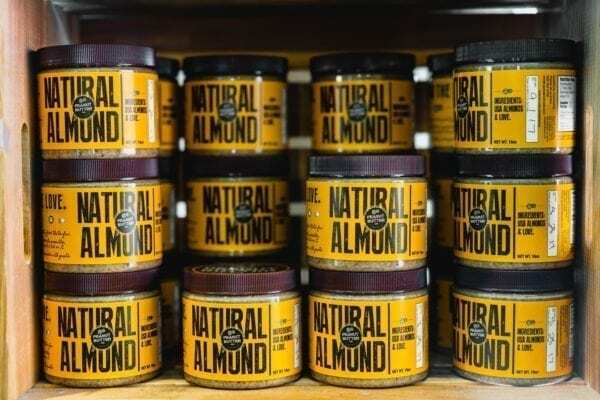 Nut butters are excellent vegan egg replacers for two reasons: they’re high in protein and bind really well. You can use all sorts of varieties like peanut butter, cashew butter, almond butter, or sunflower butter. It’s best to stick to the creamy version of each, as the chunky version will not spread evenly. 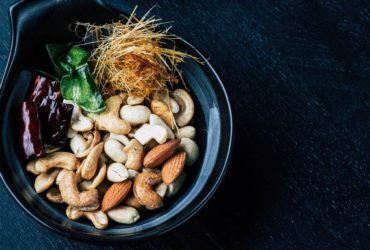 Additionally, keep in mind that adding a nut butter to your recipe will create a strong flavor of the option you choose; similar to fruit puree. To substitute, replace one egg with 3 tablespoons (60 grams) of nut butter. Remember back in grade school when you would make papier-mache volcanoes explode by pouring vinegar down the spout? That same rising effect works as an egg replacer too! 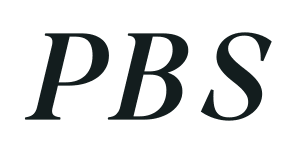 By combining baking soda and vinegar, you create carbon dioxide, which expands and helps baked goods like cakes, cupcakes, and quick breads rise. It’s important to note that this vegan egg replacer only works to leaven, not bind. You will need to include a separate binding replacement from this list in the recipe. To create the same effect as an egg, combine 1 teaspoon (7 grams) baking soda with 1 tablespoon (15 grams) distilled white vinegar. *Apple cider vinegar can also be substituted if you do not have white vinegar on hand, but may alter the taste. If moisture is all you’re after, silken tofu is your egg replacer of choice. Why? Because it’s an extremely effective binder that packs healthy protein. Since protein helps keep us full, adding it into baked goods or similar products will help prevent overeating. 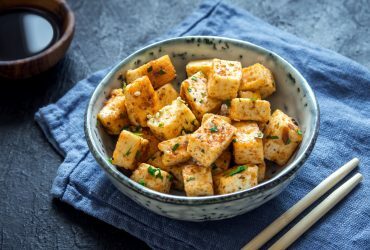 Different than regular tofu, silken tofu is creamier and holds water better, making it ideal to replacing eggs in dense baked goods like brownies or cookies. Also, be sure the recipe calls for a separate leavener like baking soda or baking powder, otherwise your might end up with a gooey mess. Replace 1 egg with ¼ cup (60 grams) puréed silken tofu. To purée, use a food processor or blender, otherwise you may end up with unpleasant chunks in your cupcakes. The scope of this article has focused on baked goods, but what about vegan meatloaf, burgers, and sausages? Instant mashed potatoes can help you bind those products with ease. 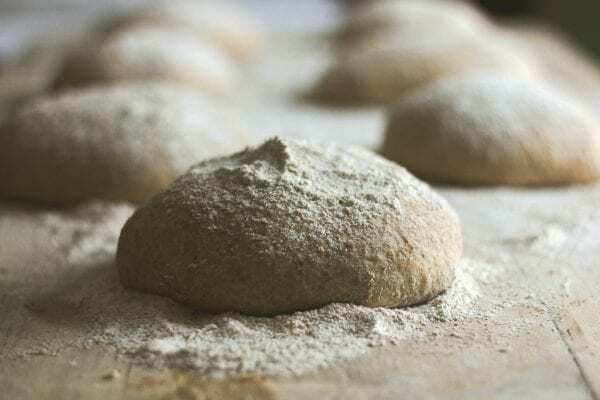 Since leavening is not required in these types of recipes, you do not need to worry about rising components like baking soda or baking powder. Just add the instant mashed potatoes flakes directly to the recipe. Replace 1 egg with 2 tablespoons (30 grams) of instant mashed potatoes. Potato Pearls Excel Mashed Potatoes – 3.37 lb. So there you have it, the 11 most effective vegan egg replacers you’ll ever need for baking and cooking. 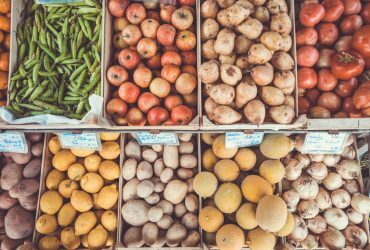 No matter your diet preference, experimenting with new ingredients like these will help expand your skill set in the kitchen. The next time you decide to bake a tasty batch of cookies or a savory cake, try one of these vegan egg replacers! Have you used one of these Vegan egg replacers before? Share your experience in the comments so others can learn from your success.